Woot! Woot! It's Friday! We have a crazy fun weekend planned and I can't wait for Hub to get home so we can start enjoying it together! One of our plans is our friends Super Bowl Partay!! Are you ready for some foootballll!? I'm so excited!! I flipping love Peyton Manning and couldn't be happier for him...except if he still played for the Colts...and he was taking them to the Super Bowl, not the Broncos. AND I'm so glad our friends are going to be doing the hosting. We thought about throwing a Bowl Bash, but then we got lazy and waited for someone else to suggest throwing a party. It worked out! So today I'm showing off a super popular recipe that would be a perfect addition to any Super Bowl Party! 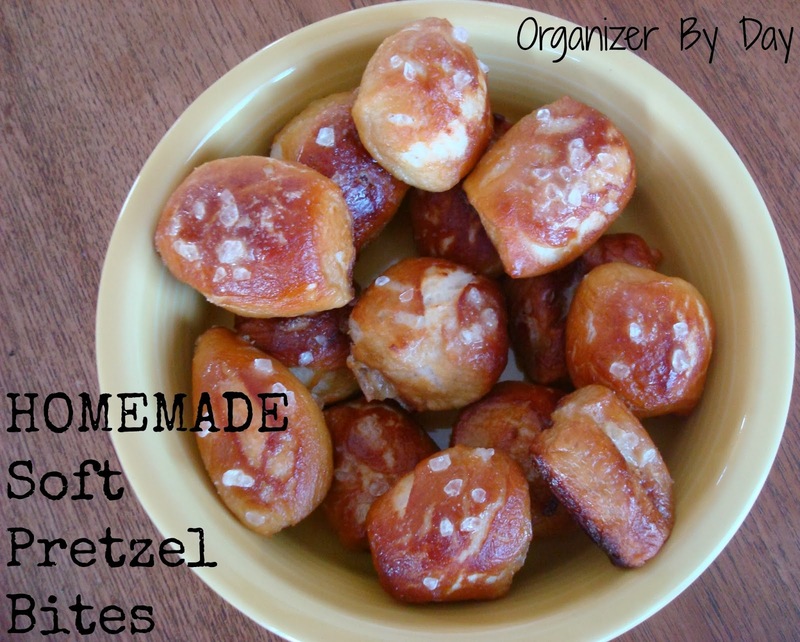 Homemade Soft Pretzel Bites! I found it about a year ago and make it all the time. I was so afraid of yeast before and after I made this recipe and have messed it up several times :) That is until now! Hub bought me a food thermometer for Christmas and I'm able to get the "warm" water to the perfect desired temperature. 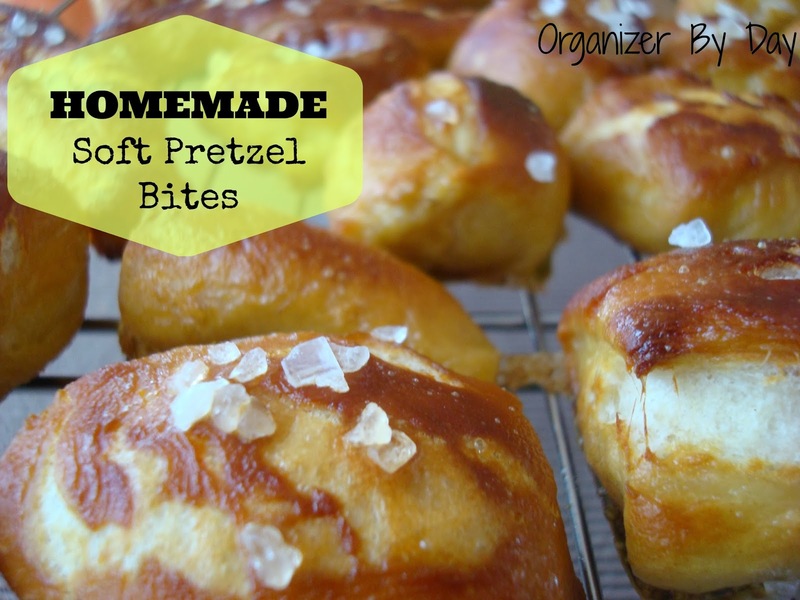 Now making these amazingly-soft-yet-also-super-crunchy pretzel bites is a snap! The best part about making these is when you boil the water and add the baking soda! It does this crazy bubbly foam up thing, so you can't pour it in too fast. I love food science stuff. At the end I got a little lazy and made some longer sticks, too. No matter what the shape or size, these are delicious! I also made an awesome cheese sauce to go with these. I kind of made it on the fly last minute and just threw a bunch of stuff together, but I'll try and give as close of measurements as possible. Once you get the base, you really can make the cheese sauce your own. Pick out your favorite cheese and seasonings and get to dipping! These babies don't last long. 1. Mix together the warm water, sugar, yeast and melted butter in your mixer bowl with your dough hook attachment. Let it sit for about 10 minutes. 2. Combine 4 1/2 Cups of flour and salt together and add to the yeast mixture on slow speed, continue mixing on slow. Once all the flour is in, turn up the speed to medium and mix until the dough pulls away from the bowl. If the dough seems too sticky, add in the extra flour a little bit at a time. Take out the dough and knead on a lightly floured surface with your hands for a few minutes. 3. Roll the dough into a ball. Coat a large bowl with oil and roll the dough around in the bowl until the dough has a layer of oil on it. Cover with a towel and let rise until doubled in size, about an hour. 4. Preheat the oven to 425 degrees. Grease a large baking sheet. 5. Start pulling out chunks of the dough and roll into a long rope that is the same thickness throughout. Cut into 1 inch pieces. 6. Boil the water in a large saucepan on high heat. Once boiling, SLOWLY add in the baking soda. If you go too fast, it will boil over and you'll have a huge mess. Throw in several pretzel pieces and let boil for about 30-45 seconds. Remove with a slotted spoon and place on the baking sheet, making sure the pieces don't touch. 7. Brush the egg wash over the pretzel bites and sprinkle on the coarse salt. Place in the over and bake for about 13-15 minutes, or until they are the desired golden brown you want them to be. Remove and immediately add more salt and transfer to a wire rack. I added garlic butter on top of mine and served with a cheese sauce. Melt the butter in a small saucepan. Add in the flour and stir until combined. Add in the milk and stir for about 1 minute. Add in all the cheese and seasonings and stir constantly until cheese is melted. 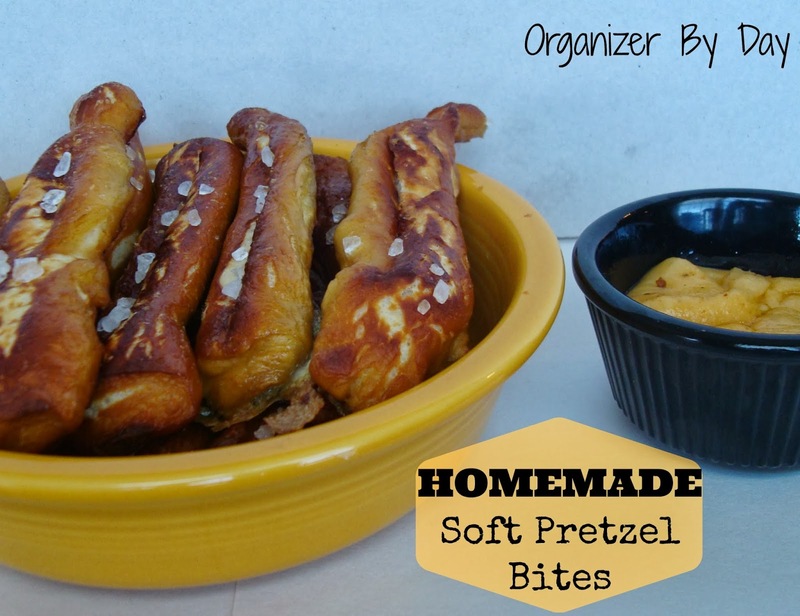 Serve with your favorite pretzel bites or tortilla chips. Enjoy! Need some great sauce pans? Check these out! What about an affordable yet amazing Kitchenaid? You could easily keep off the salt and brush the bites with melted butter and cinnamon sugar when they come out of the oven and serve with some icing! Yummy dessert! What are you planning on making for the Big Game this Sunday? Can't wait to hear your recipes! Might even try a few myself! Hope you all have a great weekend! Haha that is too funny! I promise I won't hold it against you. Great state, great schools. Love your site! Your last post was hilarious and those shoes are too funny. Plus your little boy is adorable. And I am obsessed with my long hair. I wouldn't cut it for anything, no matter how hard it is to work with :) Following you in as many ways possible. Can't wait to see what you write about next. Thanks for following me, too! Oh yum! These look so good. I haven't made pretzels in ages!! These look perfect for the Superbowl! These look tasty! They would definitely be a big hit during the game. MM! Oh my those looks more than delicious! Love them. Can't wait to try! Those look so yummy! I'll definitely try it!! These look delicious! Pinned it! Thanks for sharing at Titus 2 Tuesday! Thanks for another great recipe. My kids would love these. Thanks for linking up at Tell Me About It Tuesday. We hope you hop over and share with us again next week. mmm you literally are making my stomach growl at this haha! Great recipe! acting up. Following you and liking you every other way possible though :) Hope you have a great weekend!! This sounds soo amazing!!!! I'm thinking I need to try this!! Thanks Shelly! Yes you should definitely try these out! I love your site and am a huge fan. Your link party is one of my favorites. Hope you have a great weekend! These look AWESOME! I wish I had some right now! Oh! These look delicious. I really want to try and make my own cheese sauce! Thanks for sharing this with us at our Marvelous Monday Party! Pinning! Looks like a great snack! 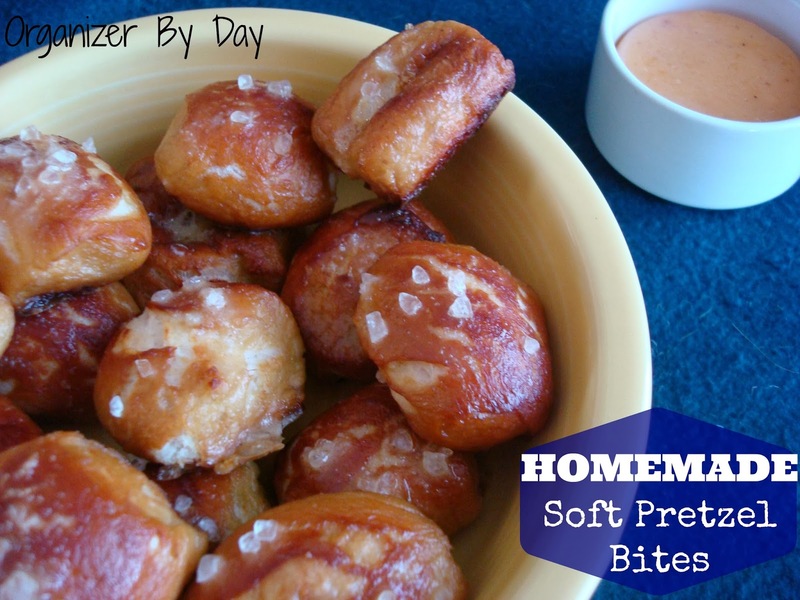 There is nothing better than homemade soft pretzels and these look amazing, especially paired with the cheese sauce! These look delicious! I think I could eat these all day! Thanks for sharing this with us at Sewlicious Home Decor! Pinned to the food board! These look soooo good! I must give these a try. Stopping by from Foodies & Crafties Soiree. I love soft pretzels. This is the perfect party food! Thank you for linking to the In and Out of the Kitchen Link Party. Hope to see you next week. Stopping by from the Four Seasons hop. What a great recipe, they look so good! I can't wait to try them! These look delicious! Thanks for sharing on the weekend re-Treat link party! so yummy! 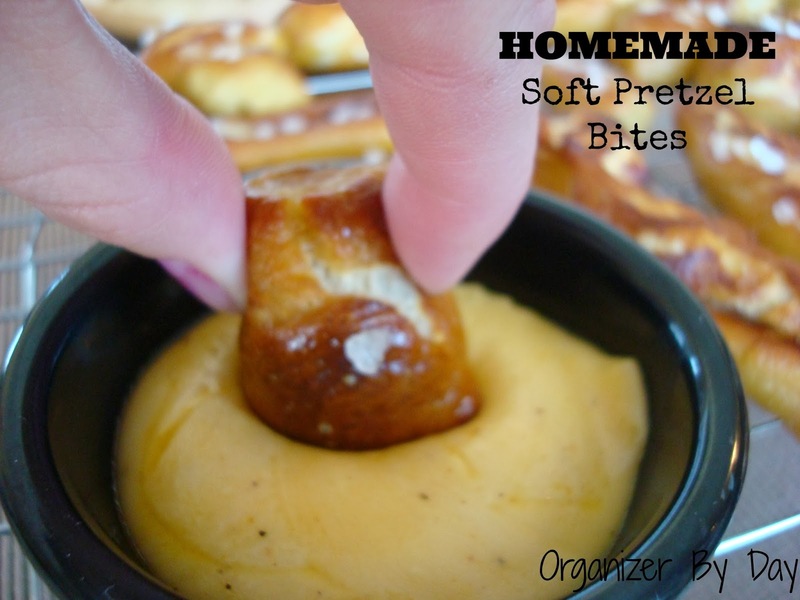 I love preztel bites and with a cheese sauce? Heaven :) How easy is it to use the dry active yeast? I'm always a little worried. Hey Sandra! Big fan of yours. The hardest/easiest part of working with the dry active yeast is getting the water temperature right. As long as you do that, the rest is easy. I use a digital thermometer to get the water between 105-115 degrees and these always turn out great. I just booked marked this recipe. I can not wait till my husband gets home and show him. He loves to bake breads.....I love it that I don't have too. Thank you for sharing it on our Four Seasons Blog Hop. Pinning now. These look scrumptious! Thanks for sharing the recipe I can't wait to try it! I just made pretzels the other day, but mine was large ones, these look delicious. 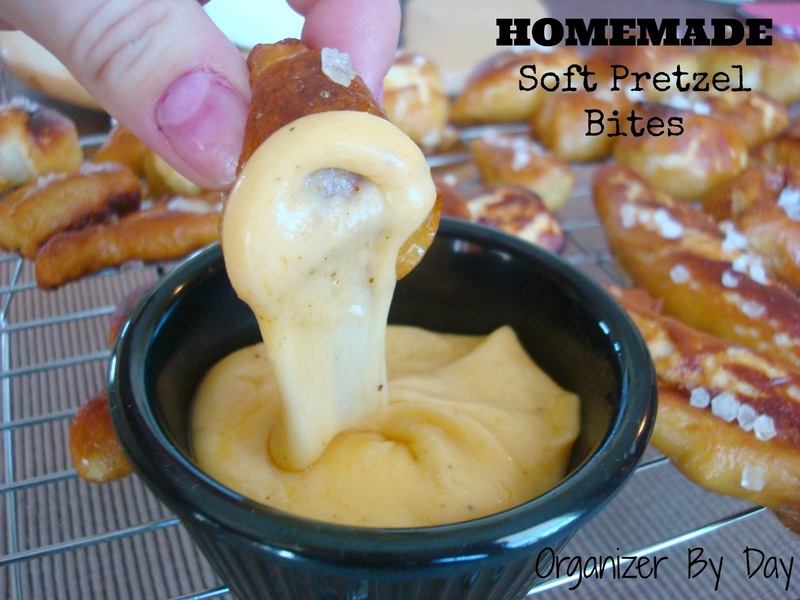 I just love Pretzel's and your Pretzel Bites look awesome! Hope you are having a great weekend and thanks so much for sharing with Full Plate Thursday. We just made large pretzels for the Super Bowl. 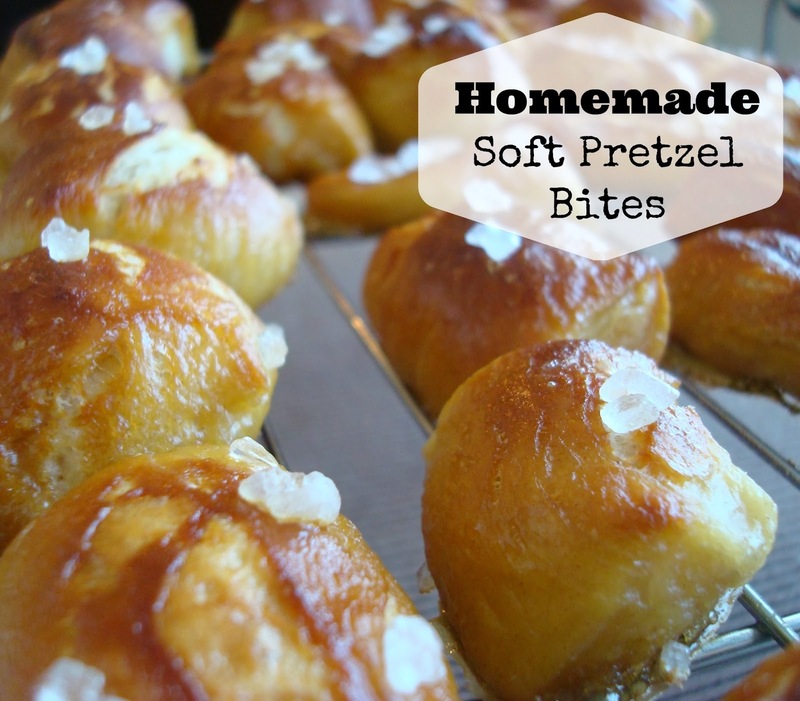 Pretzels are incredible homemade. Thanks for sharing your bites with us on foodie friday. These look delicious Thank you for linking up at Tasty Tuesdays! Your post has been pinned to my Recipes from Tasty Tuesday board. I can't wait to see what you link up next week!